Sinkology is proud to present Kristan Allen, our design expert and guest blogger who runs the @FarmhouseRedefined on Instagram. Kristan is here to share some design ideas and inspiration around designing your home around your copper sink. I’ve got two young kiddos at home and we’re just getting into the wonderful world of extracurricular sports and activities. Between that and work schedules, school functions, volunteering, etc., it’s tough to keep track of what everyone has going on each day. And from what I hear, the craziness only gets bigger as your kids do! 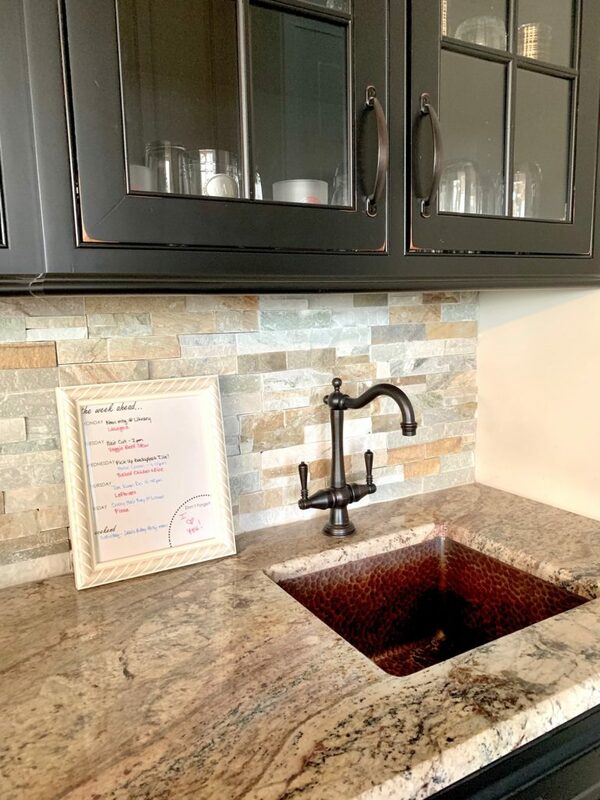 I wanted an easy way to display all the important things happening each week, along with our dinner menu and any special notes – something small that I could keep on our kitchen bar counter, which everyone has to walk by as we leave the house. I wasn’t having any luck finding a smaller calendar/message board, so I decided to create my own! 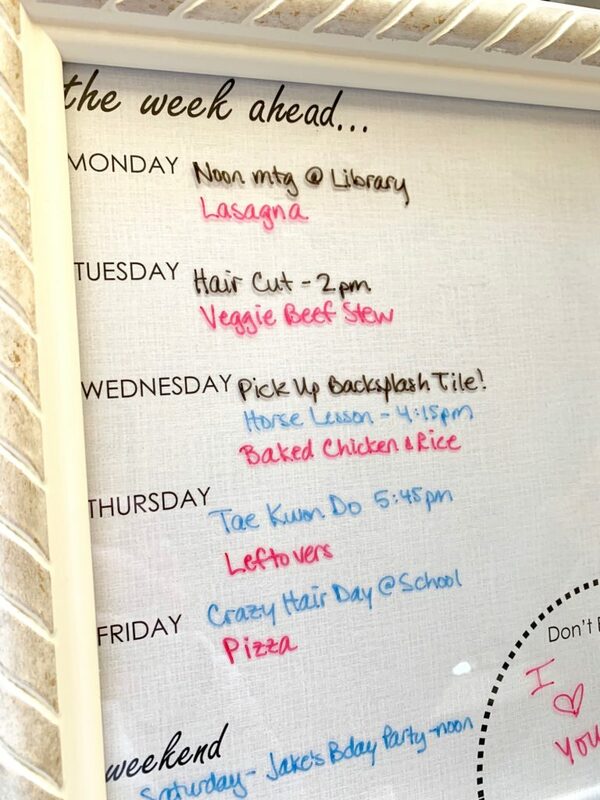 I loved the way it turned out, so I thought I’d share it here in case anyone else could use a quick and easy way to capture your family’s week at-a-glance. 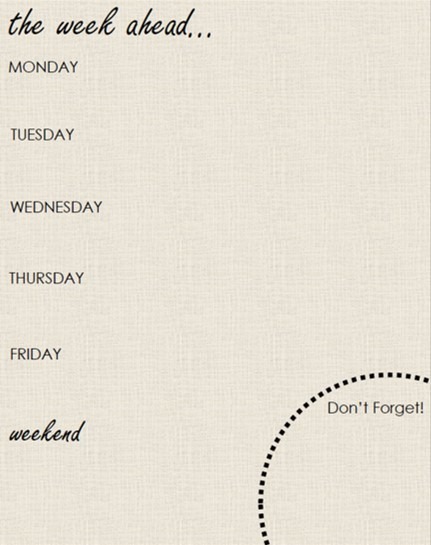 I just used regular old Word to create a template that lists out each day of the week and combines Saturday and Sunday into “weekend.” You can use a fancier design software like Photoshop or even an online platform (I love PicMonkey!) if you’d like. These options would give you a little more room to get playful with fonts, images, etc. For simplicity’s sake this first time around, I went minimal and kept the background light knowing that I would be writing on top of it. I sized it to 8×10 so it would be easy to print at home and fit within a standard-sized frame. So many different frame options out there! 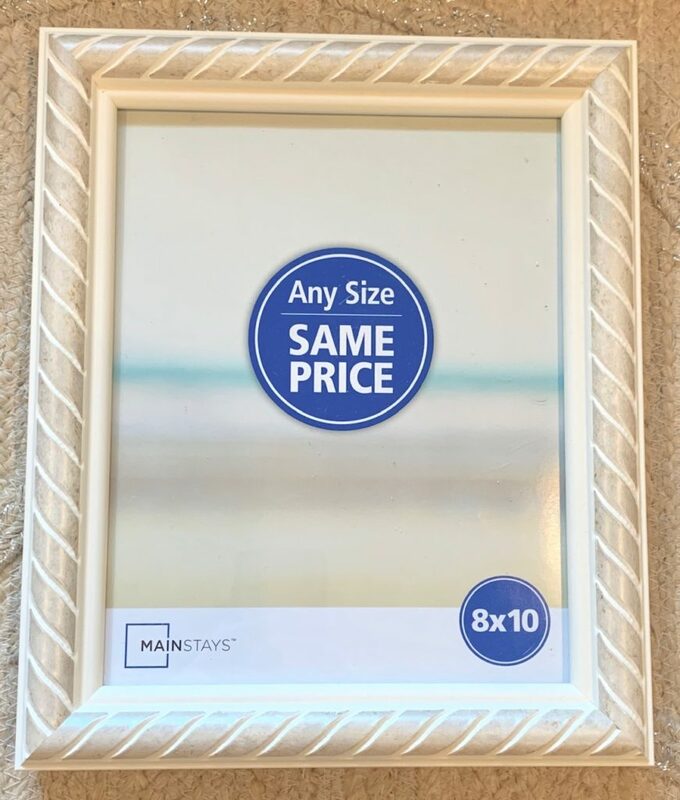 I went with a really inexpensive one from Walmart, but as you all know, the sky’s the limit when it comes to picture frames. Pick a neutral, understated one, a funky, colorful one or switch your frames out based on season or holiday! After you cut out your template, pop it in your frame. Using dry erase markers, start capturing your week right on the frame’s glass. 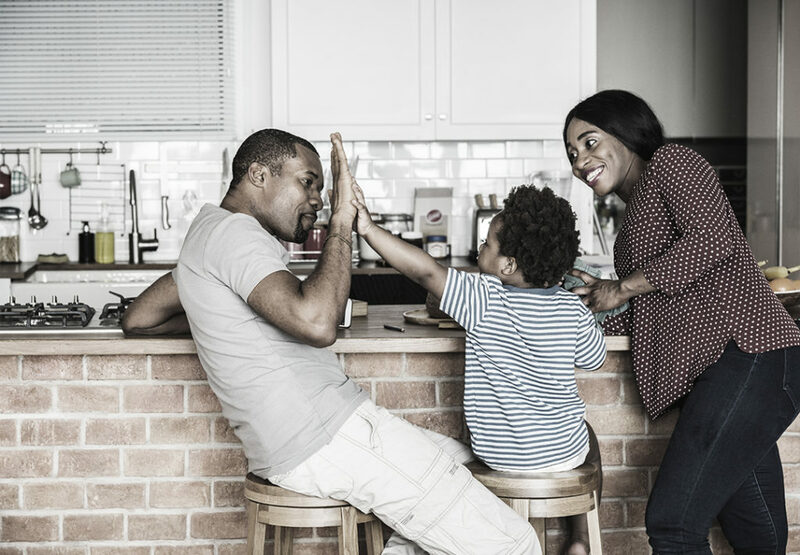 The template will keep everything organized and the glass is easily wiped off at the end of each week when you’re ready to start over again. Finally, choose a location to display your weekly calendar board where you know everyone will see it. I chose our kitchen bar because it’s on the way out the door. If you’re leaving the house, you have to walk by our weekly schedule! I’ve had mine up for a month and it’s working out great so far. My husband and I are a lot more in sync when it comes to chauffeur duties and work-late schedules. And it’s a great reminder to me of what I’ve planned for dinner each night! How do you keep track of your schedule each week? We’d love to hear! Tag @Sinkology on Instagram and share your ideas with us.